In his role as city manager, Emery will provide administrative management for the 10th largest city in California, its 351,000 residents and total operating budget of $1.7 billion. The Anaheim city manager provides oversight for a full spectrum of city services, including Police, Fire, Utilities, Community Services, Planning, Public Works, Community Development, and a variety of internal support departments. Emery joined Anaheim on Dec. 17, 2012, as assistant city manager, and was named interim city manager on Feb. 26, 2014. Emery’s municipal management experience spans more than 25 years. From 2001 to 2012 he worked for the city of Huntington Beach, most recently as the deputy city manager for six years, as well as one year as interim city administrator. 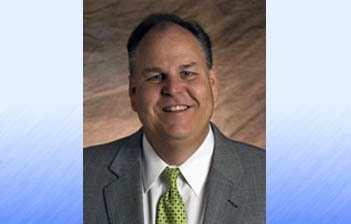 During his tenure in Huntington Beach, Emery led and provided direction to the city’s administrative, financial and operational departments, as well as implemented City Council policy according to Council direction. His responsibilities included oversight of the city’s budget and long-term financial plan, negotiation with employee bargaining units and facilitation of major private and public projects. Emery led his departments and the city with the vision to manage projects and people to best serve its customers. From 1988 to 2001 Emery worked for the city of Santa Ana, and was primarily involved with the city’s Public Works department and transportation capital projects. As a member of the city’s management team, he worked with employee bargaining groups, led the development of the deferred capital program, and helped develop objectives and projects for innovative product delivery. California born and raised, Emery holds a master’s in public administration from California State University, Fullerton, and a bachelor's degree in political science from the University of California, Davis.